The Reading Experience Database (RED), hosted by the Open University, provides a vast, open-access compendium of British authors’ reading habits from 1450 through 1945. The resource is a continuously updated repository of literary references, compiled using excerpts of biographies, letters, newspapers, magazines, and other informative texts. Among other things, the database provides both a humorous and fascinating look at what various authors thought of their peers. 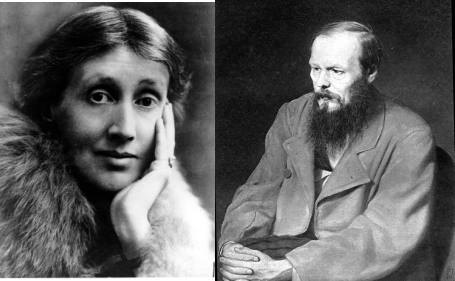 Virginia Woolf, it seems, championed Fyodor Dostoevsky (“It is directly obvious that he [Dostoevsky] is the greatest writer ever born.”), but spurned Henry James (“… we have his works here, and I read, and can't find anything but faintly tinged rose water, urbane and sleek, but vulgar…”). Robert Louis Stevenson, a friend of James’, was too conflicted about some of his writing ("I must break out with the news that I can't bear the Portrait of a Lady. I read it all, and I wept, too; but I can't stand your having written it, and I beg you will write no more of the like”). Oscar Wilde, meanwhile, characteristically contrarian, despised certain aspects of Dickens (“peers were surprised to hear him speak disparagingly of Dickens, the most popular novelist of the day. While Wilde admired the author's humor and his gift for caricature he loathed Dickens's moralizing”). Don't see your favorite British author’s delightfully snarky commentary? Help your fellow reader and submit it yourself. To learn more about the Reading Experience Database, watch this introductory video. Don’t forget that Woolf also called James Joyce a “he-goat” in a conversation with T.S. Eliot, which Joyce may have responded to in the first part of FINNEGANS WAKE.